Make your voice heard -- before it's too late! Food and Drug Administration Commissioner Scott Gottlieb, MD issued another announcement on e-cigarette policy this week, aimed at addressing the growing epidemic of youth vaping. 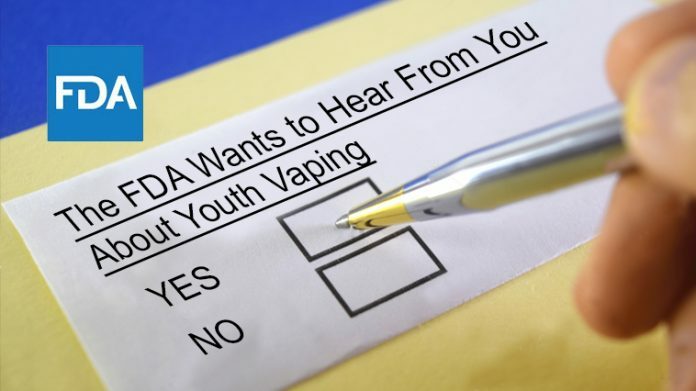 Citing a deluge of responses from the vaping industry, parents, teens, and both adults and teens who are addicted to nicotine, the FDA announced that a public hearing has been scheduled for December 5, 2018 from 9 am to 5 pm. If you’re interested in attending or speaking at this FDA public hearing, you can find out more about how to do that here. If you’d like to speak, you’ll need to register no later than November 23, 2018. If you just want to attend without presenting, the deadline is Monday, December 3, 2018. At the hearing, which is part of the FDA’s ongoing Youth Tobacco Prevention Plan, the FDA will seek opinions, data, and strategies from a variety of stakeholders ranging from medical researchers to industry experts to public health organizations. The topics discussed at the hearing will range from the FDA’s efforts to eliminate e-cigarette use among teens, the impact of e-juice flavors, potential drug therapies to help teens combat their tobacco and nicotine usage, as well as the issues that will undoubtedly surround those therapies – from development challenges to moral issues. The FDA reported that “since 2014, e-cigarettes have been the most commonly used tobacco products among youth. Approximately 11.7% of high school students and 3.3% of middle school students were using e-cigarettes as of 2017. Here’s the rub – the early results from the 2018 National Youth Tobacco Survey is indicating a sharp rise in those numbers. And that’s the problem. E-cigarettes are a product intended for adults, not kids. 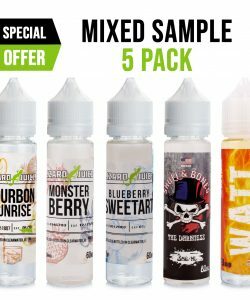 As part of the effort to curb the growing youth e-cigarette epidemic, the FDA had previously published potential new FDA rules on e-juice flavors. With this week’s announcement, Dr. Gottlieb also stated the FDA would be expanding funding and research opportunities around youth e-cigarette usage, including studies on youth vaping initiation, attitudes towards cessation, and pinpointing factors that may make cessation therapies more effective for youth tobacco users. Gottlieb stated, “No child should be using any tobacco or nicotine-containing product. We need to do everything possible to reverse the alarming trend of rising youth use of novel products like e-cigarettes, and to help kids who may already have become addicted. Soupwire will continue to bring you all the latest developments on vaping, including the new FDA deeming rules and the proposed FDA regulations on e-juice flavors and e-cigarettes. We hope you’ll make your voice heard at this FDA public hearing as well — if we’re going to save vaping, we all have to get involved.